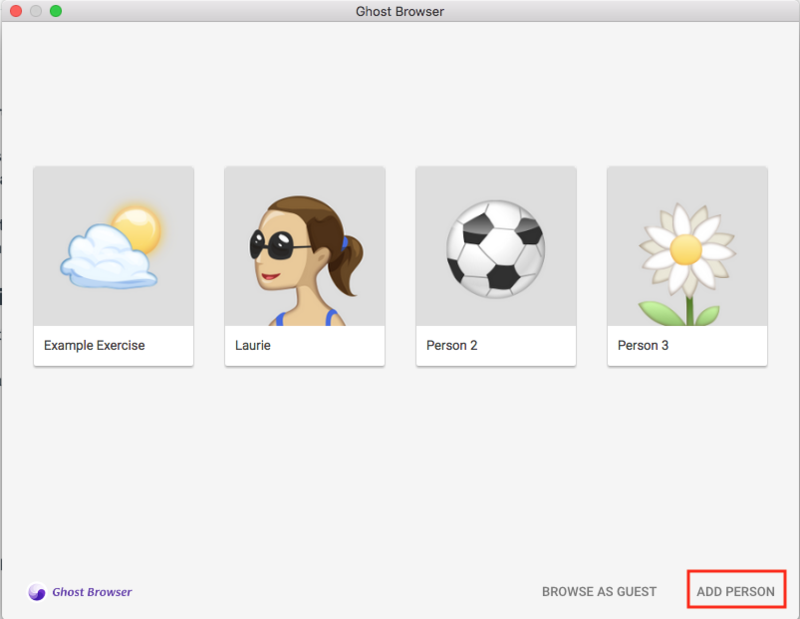 Chances are you're reading this article because one of our customer support specialists has asked you to re-create an issue you're experiencing in a "fresh" profile in Ghost Browser. The reason we ask that you do this is that we suspect that an issue you're having is likely due to a setting in your current profile which is interfering with the proper functionality of the browser. Click on the profile manager in the upper right corner of the browser. On Mac, it looks like an icon of a person. On Windows, it will either say, "Person 1" or will have your custom name. 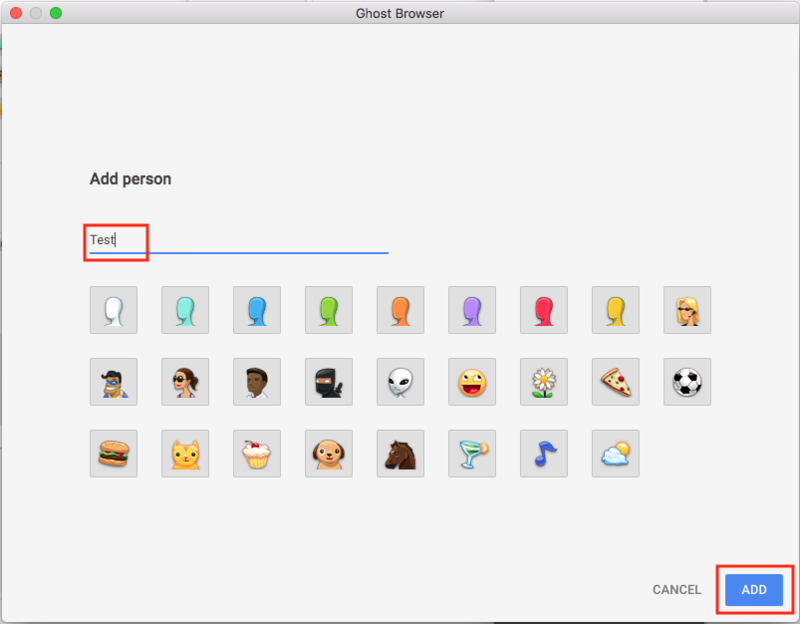 In the bottom right corner of the window select, Add Person. Label this profile as, Test. Click the blue Add button in the bottom right corner. Now that you've created a fresh profile, please try to replicate the issue you were previously experiencing. If you cannot replicate the issue, then the issue is likely tied to a setting somewhere in your main profile. Please create a screen recording of the issue so the Ghost Browser customer support specialist can see the issue happening in your new test profile. Please be sure to record your entire browser window. Loom is a good free screen recording tool if you don't already have a solution you like.